Employee Skills Training with Peak Performance! Improve employee retention with our innovative solutions. First Try Communication - Peak Performance!��s First Try Communication will get your people communicating effectively the first time. We teach teams how to clarify expectations, set direction, hear what�s said, and confirm plans efficiently. Then we practice the skills we teach through a series of innovative simulations and video taped activities. Start communicating effectively on the First Try! Giving Great Feedback - This critical skill workshop will provide you with powerful tools to help your people make major transitions and improvements in their performance. Forget the arcane hire and fire model of the past. You need to know how to actualize great performance with the people you have. How to use practice sessions to continually hone customer care skills. Unlike other customer service programs, our program focuses on the responsibility of the entire work group as well as the individual in this process. In other words, we are training the team to carry a vision for customer service, to hold one another accountable, and to celebrate great service. This approach creates a total service environment instead of simply providing hard skills for customer service. Leading as Coaching� - Want to have your team members respond to your leadership style as if you were the best coach they�ve ever had? It takes skills and passion that Peak Performance!� has mastered. 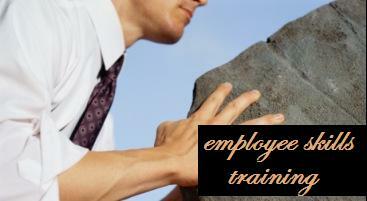 We�ll introduce critical skills of great coaches, review classic case studies, and then train you to lead as a coach.